Gifts & Graces: Oh Holy Night - Experience the Energy of the Season!Gifts & Graces: Oh Holy Night - Experience the Energy of the Season! 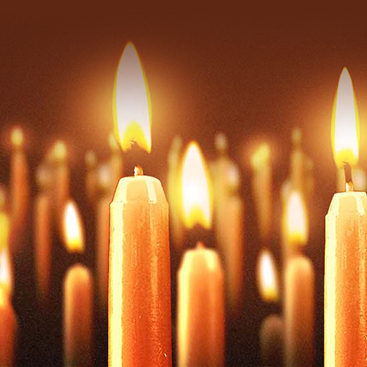 Gifts & Graces: Oh Holy Night - Experience the Energy of the Season! 2018 has been an amazing year of changes, challenges and blessings! SWIHA experienced a flood last Thanksgiving . . . and moved into its new facility right before Halloween. It seems only appropriate to tap into the energy of the Holidays and dedicate this event to our new campus and all those involved in this year’s adventures! Join us at our new campus (1538 E Southern Avenue) on Friday, December 7, 2018 at 6 PM for Gifts and Graces -- Oh Holy Night: A Special Night Dedication. This event will feature Music, Blessings & Healing lead by KC Miller and Mary Ritter, including a Candle Light Ceremony. We believe the holiday season is the best time of the year to reflect on every blessing and seek ways to fully express your own divine gifts! We are so excited to share our beautiful new home with you! 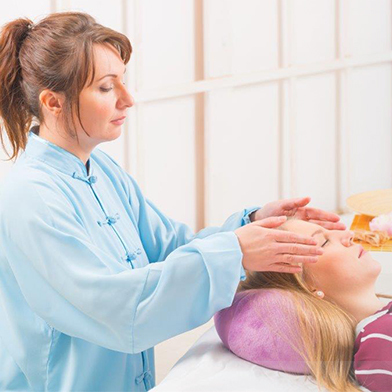 Come experience a special Reiki blessings given by SWIHA Reiki Master Teachers & Practitioners, followed by a demonstration and informational session about the Holy Reiki program, facilitated by Mary Ritter. Blessings to all . . . and to all a GOoD night! Life Coaching, Toe Reading and Energy Therapies. View Gifts and Graces live stream on the same day of the event. Join us for a live Q&A and Polarity exploration. Laughter will balance and relax you, reverse unhealthy reactions to stress, and help you enjoy life more! They say laughter is the best medicine--come find out at SWIHA! This event is complimentary and open to the public! Gifts & Graces: Happy? 3 secrets to everyday happiness! Gifts and Graces – How are YOU being called to serve? We would love to have you join us for a commUNITY event at our monthly Gifts & Graces Celebration on Friday, December 2, 2016! Twice a year we have an opportunity to ordain a few, very committed people who are motivated to offer their the world their own unique, Spirit-given gifts. We invite you to witness a ceremony for these who feel ‘called’ to a place of spiritual leadership in their lives and in their own communities. This calling is a journey of self-awakening, self-exploration, and self-affirmation, which often leads to the desire for Ordination. Past guests have told us that just by witnessing the ordination ceremony, they became clear on how they might serve in the world. After this special commemoration, guests will be invited to experience complimentary sessions of Energy Work, Spiritual Coaching, Toe Reading. 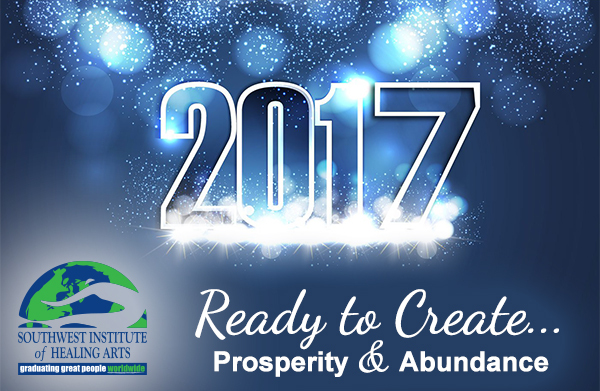 Join us Friday, January 6, 2017 for a special motivational Gifts and Graces featuring James Patrick as the keynote speaker. Immediately following the lecture, students will receive instructions on a variety of physical techniques they can use to neutralize and overwhelm an assailant. Students will also be given instruction in proper body mechanics, voice projection and breathing techniques. Real world application is paramount therefore all force delivery techniques will target the soft points and vital points of the human body for maximum effect. We are celebrating International Toe Reading Month the entire month of March! If you have never heard of or had a Toe Reading, this Gift and Graces is especially for you. Toe Reading is based on the theory that everything that has happened to a person in stored in cellular memory – all our ‘issues’ do show up in our tissues – our toe tissues to be exact. Often referred to as ‘Soul Coaching’, this powerful technology uses ‘sacred witnessing’, active listening and powerful soul-searching questions; and deeply skilled insight to help people create change in their lives Beautiful transformations will often be witnessed right before Toe Reader’s eyes. 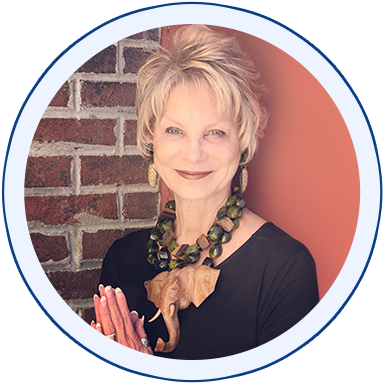 Join the founder of SWIHA as she shares a preview of her newest book and her newest book entitled The Tao of Toe Reading – A ‘way’ to understand the Soul. Come learn about a new documentary project called #ISEEYOU by produced by AnnCabano.com. featuring Toe Reading, Soul Coaching, Intuitive Guidance, and spontaneous "nudges from Spirit" – all the many ways to truly SEE someone's Soul. Cheryl Speen, the Lead Reflexology Instructor at SWIHA, will be offering an informational session at 7:30 PM, explaining the science, energetics, and meanings behind the toe, foot, hand, and ear holograms, as taught at SWIHA in our 200-Hour Certificate of Excellence. You are also invited to experience complimentary sessions of Energy Work, Spiritual Coaching and Toe Reading. The Arizona Reflexology Association is hosting its statewide meeting at SWIHA on Saturday, April 1, 2017 from 9:30 am – 2:00 pm. As students and graduates of SWIHA, you are invited to be a Guest at this meeting. 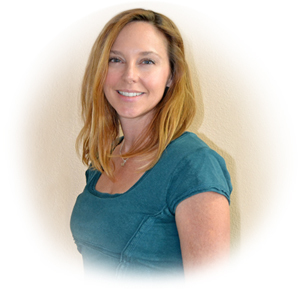 You will have the opportunity to meet reflexologists from all over Arizona! 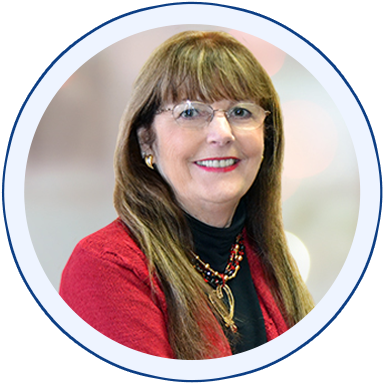 As an attendee, you will hear KC Miller’s presentation on her upcoming book called The Tao of Toe Reading. Good Friday is a day of Forgiveness! Join us for our 19th Annual Forgiveness Ceremony. Please join us for a night of empowered transformation through experiencing the sacred gift of forgiveness. Find the courage to step into and through any fears you may have about forgiving yourself and others, so you can create the space to offer sincere apologies and restore your relationships! This evening of self-reflection offers a wonderful sense of community. 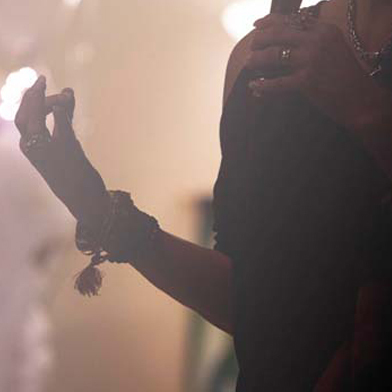 Everyone is invited to participate in a Healing Ceremony. 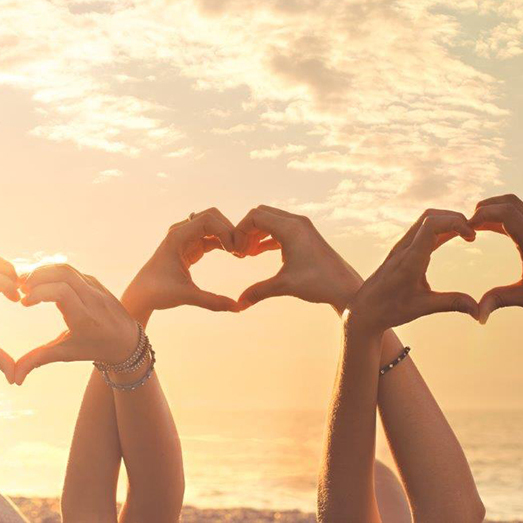 Healing happens when hearts come together for the purpose of peace. Friday, April 7 at 6pm The expression of Mother Earth is sometimes called “Mother Nature.” At SWIHA, we embrace S.O.U.L food – Seasonal, Organic, Unprocessed and Local food that come directly from Mother Earth naturally. April is a month we celebrate Holistic Nutrition, Western Herbalism and Urban Farming. Join us to a very fun night of digging into dirt – and plant new seeds of possibilities. Plus you are invited to experience complimentary sessions of Energy Work, Spiritual Coaching and Toe Reading. Everything is energy! It’s a scientific fact that everything that exists is made of energy. Our body, our feelings and the objects around us -- right down to the ground we stand on! And, it’s all vibrating energy! And, it is a proven fact that when a group of people gather together for a ‘unified purpose’, they can change the vibration for the good! 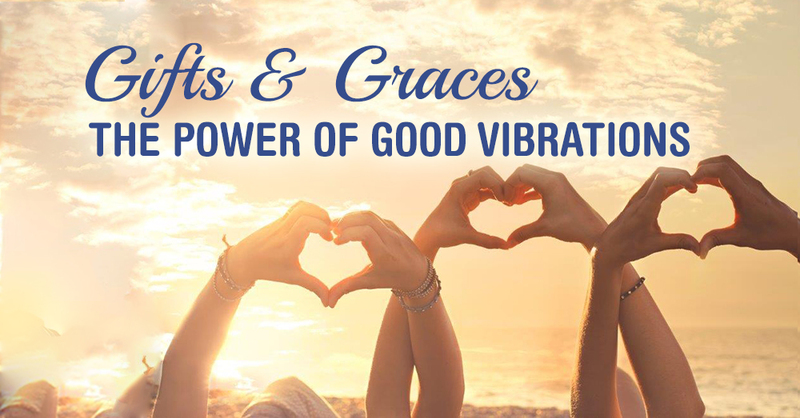 Join us for a very uplifting night where we will ‘play’ with the power of energy, vibration, prayer and healing! Be miracle-made! We especially encourage those who are in need of physically and spiritual healing to attend! After this inspirational presentation guests will be invited to experience complimentary sessions of Energy Work, Spiritual Coaching and Toe Reading. 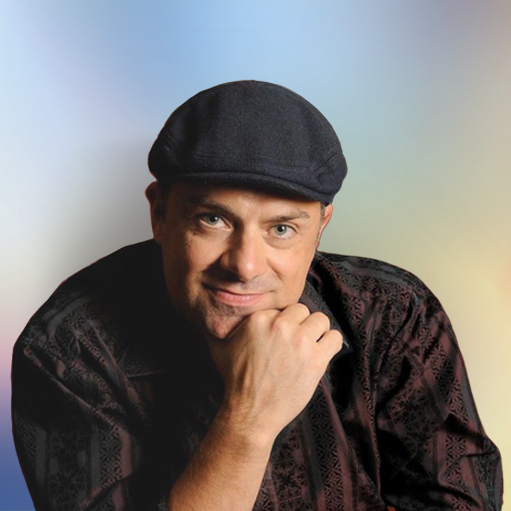 Learn to Co-create a Soulful Business with Richard Seaman from 6:00 PM – 7:30 PM Trying to create a profitable and sustainable business alone can be exhausting and fruitless. 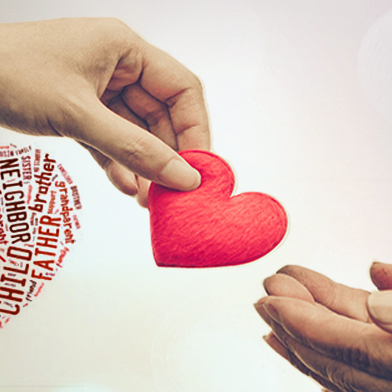 Everyone needs help– from both fellow human and the Divine! 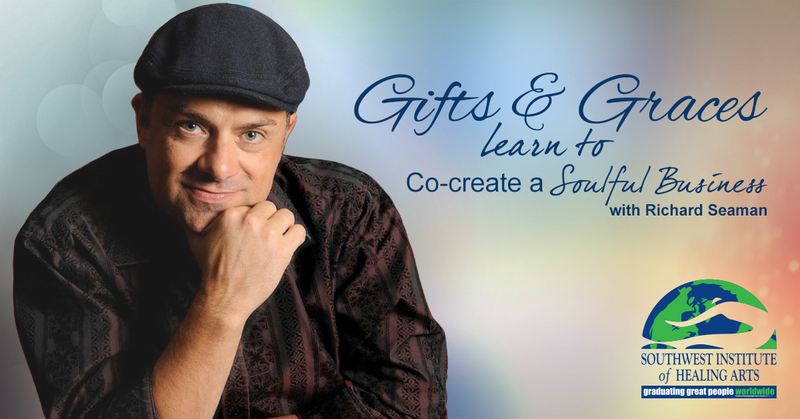 Come learn how to co-create with the Divine under the instruction of Richard Seaman, a Soulful Entrepreneur and the founder and director of Seattle Life Coach Training. 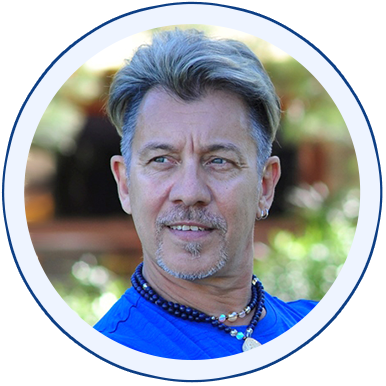 Join us as Richard shares his “Seven Spiritual Success Keys” to running a Soulful Business and gain a better understanding of how our life, work, and spirituality are deeply connected to our business success! After this inspirational presentation, guests are invited to experience complimentary sessions of Energy Work, Spiritual Coaching, and Toe Reading. “The warrior is naturally inclined to be courageous, vigorous, have firmness of mind. The warrior is resourceful, generous and displays the qualities of leadership at all times. The warrior is not inclined to flee, but rather to persevere in the midst of the battle.” The Bhagavad Gita. There is a warrior within all of us. A warrior that does not despair, one that casts away discouragement and rises like a fire that burns all before it. We salute the warrior within. For some - the battlefield has been far away. Others - fought the battle of waiting, wondering and supporting the empty chair, armed with a prayer of a safe return. Still others see the battle lying ahead to serve those that have sacrificed so much for all of us. We salute all of you. Embark upon the inspirational journey of a veteran. From youthful anticipation to challenge and change. From hometown to shores far away. Follow the veteran’s return home and the struggles of healing from unseen wounds. Hear the story of one who found humanity while standing on a Yoga mat. 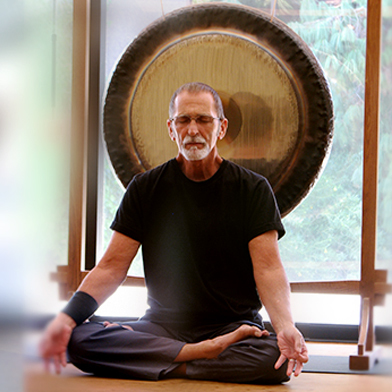 Duane Armitage is a Certified Yoga Teacher and veteran of the United States Navy who served three tours in Vietnam from 1968-1972. He retired from the Phoenix Police Department after 30 years in 2009. During his time with the department, he was a member of the Critical Incident Stress Management Team for 12 years. As a CISM member, he assisted and offered counseling to officers and civilian employees who had been exposed to traumatic events. Gifts & Graces: What is Your Why? This is a question you most likely have asked yourself or someone has asked of you at some point in your life. However, have you taken the time to clearly define your WHY? Your WHY is your purpose. It is your reason for getting up in the morning. It is what motivates you to action. It is what keeps you focused each and every day. No one has the power to take your purpose from you. The clearer you are about your WHY the more others can share your purpose. Aligning shared passions, shared beliefs, and shared value is how one finds common purpose. Purposeful leaders leverage common purpose to inspire, unify, and drive collective action to achieve their goals and desired outcomes. Purpose-driven brands find the common purpose across organizational stakeholders, their customers, and society to achieve business sustainability and to have a positive impact in the world. Every individual has a purpose. While you may not have been able to identify your purpose just yet, it does not mean it does not exist. If you are constantly stressed, demotivated, unfulfilled at work, pessimistic of the world, or feel your life lacks meaning then these are clear indicators that you are not living your purpose. Join Will Zecco for and inspirational and up lifting message to Discover Your WHY. 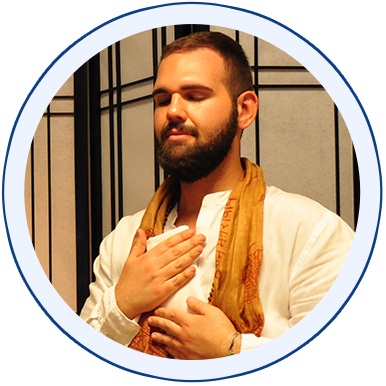 Will has served at SWIHA for the last twelve years -- He is an inspirational motivational speaker, business coach, yoga teacher, breath coach, Gong Master and humble servant of Spirit. At 7:30pm complimentary sessions offered are: Life Coaching, Toe Reading and Energy Therapies. Astarius Miraculii is a dedicated spiritual teacher who has been serving and empowering the community for more than 40 years. 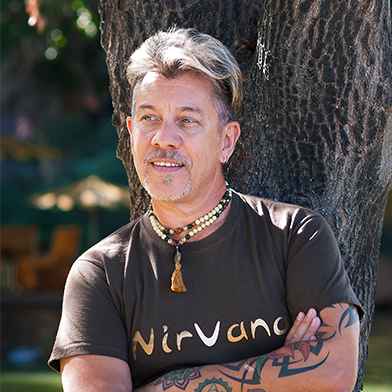 He is a sound healer, astrologer, author, poet, reiki master teacher, ascension ambassador and Rider of the BlissWave. 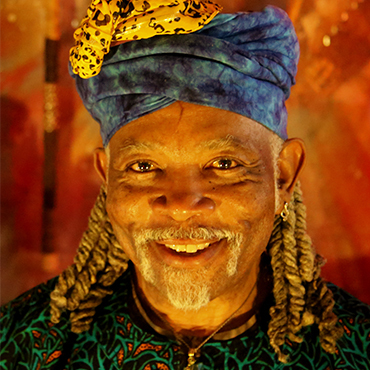 His approach to sound healing is with the Didgeridoo, vocal Harmonics, Invocations and Chanting. He has written two books which are “Miraculii Song of Ascension” and “Feast Of the Zodiac” (Wisdom of Astrology). Astarius has also recorded 15 transformational CDs including the legendary “Spirit Rap”, which has gotten nearly a 100,000 views on YouTube. Over the years it has been an honor for him to serve thousands of people with his gifts. We have a tendency to frame trauma as a negative experience, however, living through a trauma could motivate us reach our fullest potential and help us grow as human beings. When a loved-one experiences trauma, it impacts the entire family system. 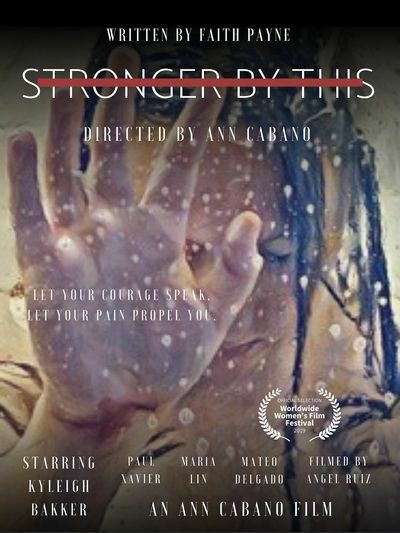 Eight percent of Americans are diagnosed with PTSD and 70% of adults have experienced a traumatic event (PTSDUnited.org). We encourage you to explore the depths of personal healing through the lens of faith with Shelley Tom. Shelley Tom believes the journey of healing begins with learning to move out of fear and into faith in order to grow after trauma. We can learn so many lessons from those who are surviving, even thriving, after trauma. Shelley Tom is a Licensed Professional Counselor, Yoga Instructor, Educator and Dean of On Campus Education at Southwest Institute of Healing Arts. 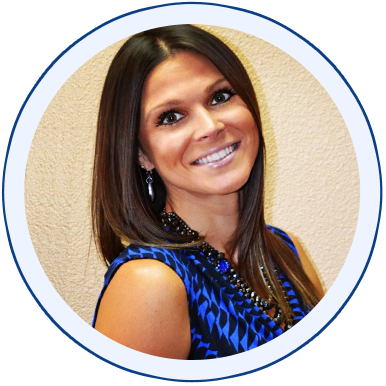 In her role as a therapist, Shelley has worked closely with clients and families healing from trauma, and is passionate about helping people live their life to the fullest potential. 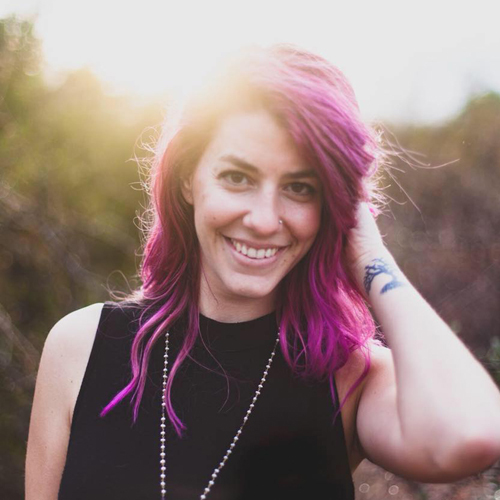 Immediately following this presentation, Mary Ritter and Becca Briley will facilitate a breakout session using a 'Discovery Instrument' to help you understand the spiritual gift you have, and those you can choose develop. Life Coaches, Toe Readers and Energy Therapists will also be present and offering their services. 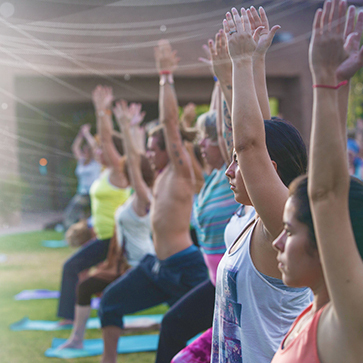 Last year, we held the event outside on the Greenbelt at Spirit of Yoga. We had a great turn out and will be repeating it again this year in the same way. In addition, our SWIHA location has moved and is now located in the same plaza as our other two campuses (SOY and SWINA). Part of the event will include a Pre-Grand Opening with an opportunity to tour the new location. In addition ALL of the Yoga Studio Classes at Spirit of Yoga will be offered Complimentary, with additional afternoon offerings! To Become a Vendor PDF FORM Please complete the attached form and submit it to Heather Rose at heatherr.swiha@gmail.com. We are looking forward to a fabulous event. 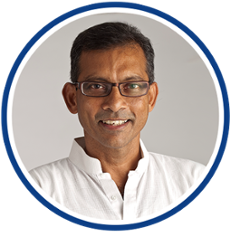 It is our honor to bring to you two exclusive complimentary workshops with Ravi Shankar, direct student of TKV Desikchar, the author of Heart of Yoga. These workshops are for Spirit of Yoga YTT graduates as part of our new Spirit of Yoga Alumni special events. Krishnamacharya would say that if one were to know and practice only one among the many rituals that exist in the Indian tradition, Sandhyavandanam is the one! Ravi’s Bio: Ravi Shankar has been on the path of Yoga for more than 25 years. He is a student of TKV Desikachar and has spent a number of years working under him and continues to teach in the same tradition. That is, a style of yoga that is breath centric, gentle and therapeutic. He now runs his own yoga school, Yoga Nidhi (www.yoganidhi.net), which works with companies, universities and schools and with individuals requiring therapy. Yoga Nidhi also conducts teacher training programs. He was the Scholar-in-Residence (2008-09), Denison University, Granville, Ohio. He also conducted workshops and lectures for the departments of Wellness, Dance and Religious Studies at the University of Wisconsin - Steven's Point. He was earlier the Lilly Scholar at the Laura C. Harris Symposium, March 2007 at Denison University, Granville, Ohio. Some of the companies he has worked with in India are: Cognizant Technology Solutions, Standard Chartered Scope International, L&T, Ashok Leyland, IBM, The World Bank, Cairn Energy and the Rane group of companies. He was on the Healthcare sub committee of the Confederation of Indian Industry (2003-06); has trained national level cricketers at the MRF Pace Foundation, Chennai (2003-06); has worked with dancers and students at Kalakshetra, Chennai; and has been involved in scientific studies using yoga with the Depts. of Psychology and Biology, Denison University, Granville, Ohio. 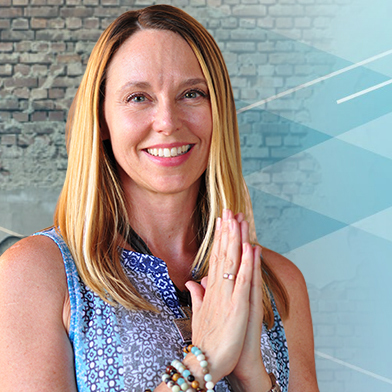 Please RSVP to Kate Shipp Director of Spirit of Yoga P: 480-994-9244 | E: kates@swiha.edu Please RSVP to Kate Shipp as we anticipate full occupancy for both events. We hope to see you there! Blessings. 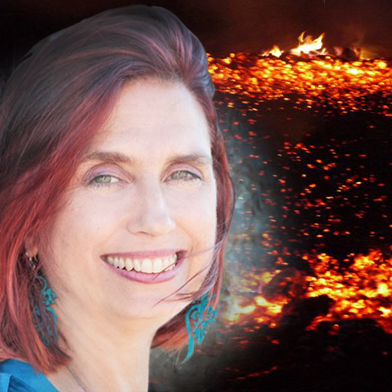 A Full Day Transformational Workshop & FIREWALK with HeatherAsh Amara, bestselling author of the Warrior Goddess Training Series! 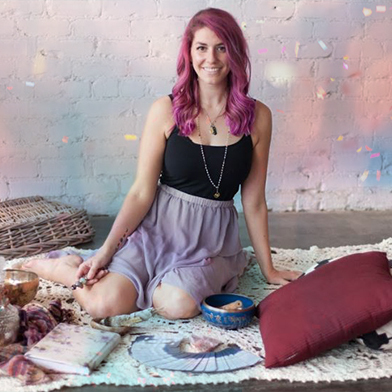 Join HeatherAsh Amara for a deeply inspiring one-day workshop on living from your essence, rather than from your fear. Reclaim Your Wholeness is more than a class; it is an interactive, motivating, head-to-toe re-wiring to help you realize that YOU are the artist of your life. Each of us has a fire within, a sacred self, and everything we do either nourishes or diminishes our inner spark. When we get stuck in our stories, our worries, and trying to figure things out, we lose sight of who we really are, and what we are here to do. Are you ready to have a transformative experience? Saturday, January 6, 2018 from 9am - 9pm (The event will break for lunch and dinner, many dining options nearby!) 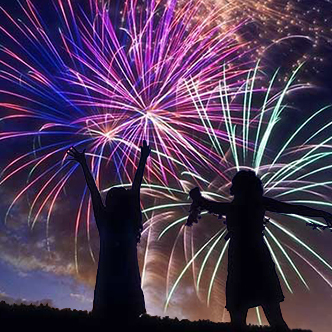 Ignite Your New Year of Transformation! Late Registration – $169 (Jan 1 – At the Door*) *If tickets still available! Fire Walk workshop at SWIHA on Saturday, January 6th, 2018, Facilitated by HeatherAsh. Click here for more details, and to register for the Saturday Fire Walk Workshop. Join us for Gifts and Graces on Friday, November 3rd at 6 PM @ SWIHA for Care for Caregivers – A Celebration of Compassion with our featured speaker and SWIHA founder, KC Miller. Following the keynote presentation will be followed by complimentary caring sessions Life Coaching, Toe Reading and Energy Therapies..
Caring for another person calls us to lean in to a kind of love we didn’t know was possible – When all of our attention is turned outward, we often forget to tend to ourselves. 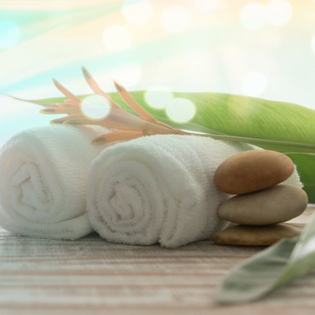 What if self-care was viewed as a “Divine Responsibility”? After all, you can’t serve from an empty plate. Find the joy in the journey and nourish yourself, and the love you give will multiply. Session 1 - Releasing Stress from Body & Mind -- 10 am to 10:45 am Introduction to the Havening method. Havening is a relatively new technique developed to deal with the effects of upsetting experiences on the body and the mind. The upsetting experience can be, for example, chronic stress or strong feelings of frustration-anger-sadness with something that happened recently. If they are not dealt with, these feelings can get in the way of our ability to interact constructively and positively with others, lead to excessive self-criticism and impulsive, ineffective decisions. 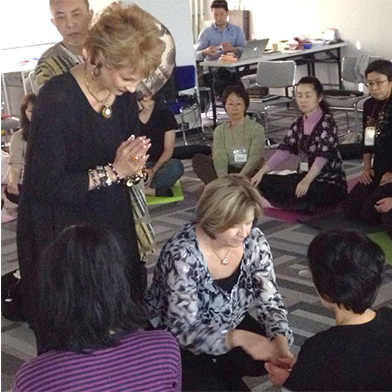 Participants in the workshop will learn how to apply the Havening Technique to themselves and others to achieve a feeling of being more calm and focused. Time permitting, a bonus technique will be shared that can help a person regain calm and be in the present in less than 5 minutes. Session 2 - Communication & Coping Skills for Caregivers -- 10 am to 10:45 am Living or working with someone with PTSD takes patience and understanding - and it can take a toll on you. This workshop will help you manage this relationship with some communication skills, as well as some positive neuroplasticity skills to manage the stress. 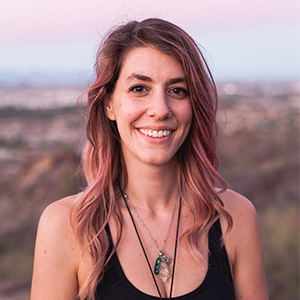 Session 3 - Tools for Dealing with Stress and Anxiety -- 11:00 am to 11:45 am Learn the ancient Hawaiian tool for cleaning energy and EFT (Emotional Freedom Technique). 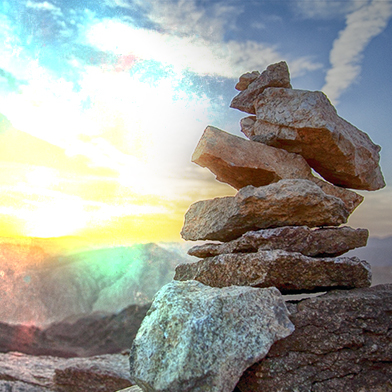 These tools come together to create a powerful resource for healing. Learn to release fear, anxiety, and negativity almost instantly. Become empowered and help the world be a better place. Session 4 – Compassion for the Caregiver -- 11:00 am to 11:45 am Research indicates that caregivers are not immune to trauma and may experience compassion fatigue. Compassion fatigue is most common in the health care professions. There is no known treatment for compassion fatigue, though psychological self-care methods can prevent adverse effects. Often with compassion fatigue we lose interest in our own self-care and both we and our clients can suffer. During this workshop learn the signs of compassion fatigue and ways to address this phenomenon. If you or someone you know serves a returning veteran, elder, special needs child, or dedicated their life to serving others in any way, come learn with us and let us serve you! It’s the most wonderful time of the year! Join us at SWIHA on Friday, December 1st at 6 PM for our Gifts and Graces event Oh Holy Night: A special night of Music, Blessings & Healing. The holiday season is the best time of the year to reflect on our blessings and seek ways to fully express our divine gifts. 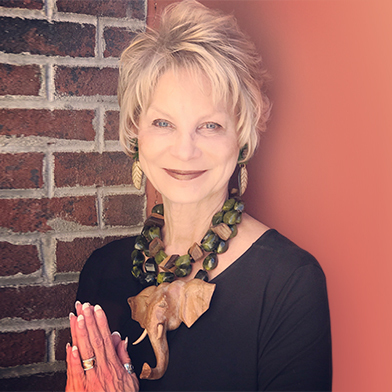 Come experience special Reiki blessings given by Reiki Master Teachers, a Singing Bowl Concert & Candle Light Ceremony – and the introduction of our NEW Holy Reiki program, facilitated by Mary Ritter. Blessings to all . . . and to all this will be a good night. 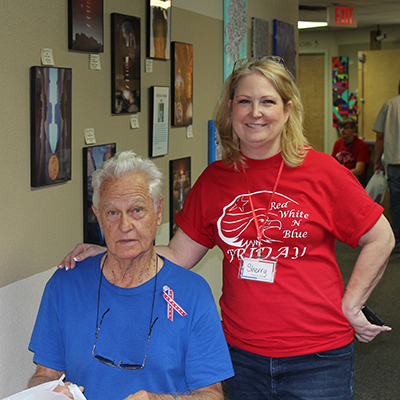 Mary Ritter, the Chief Executive Director of SWIHA, often refers to herself as the ‘Head Coach’ and ‘Energy Mover’. She has been a ‘Thought Leader’ for nearly three decades within the education industry, as well as lay minister. 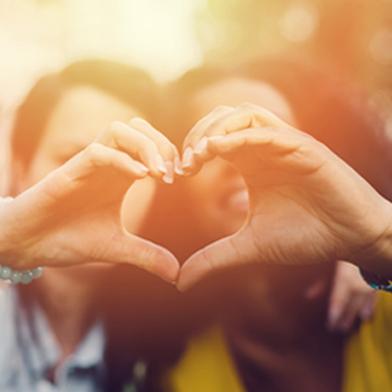 One of her greatest gifts is being heart-centered,with a deep commitment to being a servant-leader, helping people discover their gifts and graces, and fully supporting them as they share their talents with the world in a loving and profitable way! Since joining SWIHA three years ago, Mary has become a Transformational Life Coach, Yoga Teacher, Hypnotherapist and Reiki Practitioner! 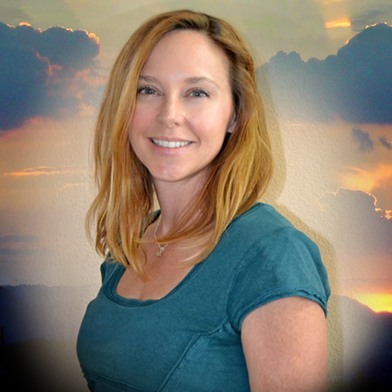 Mary will be leading the team that brings Holy Reiki to SWIHA and into the world. 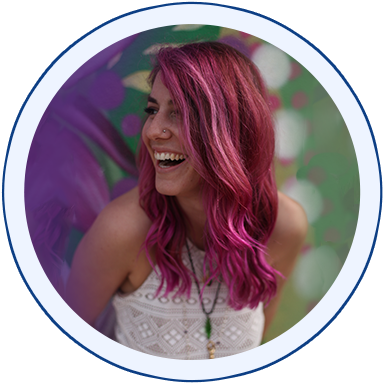 Join Spirit Guided Healer, Becca Briley, for a LIVE LIFE COACHING SESSION on 1/1/2018 @ noon (MST). Every day of January – LIFE COACHING MONTH – you can experience LIVE LIFE COACHING Sessions @ 12pm noon (MST). Seven talented coaches, every day for 31 days, 31 minutes a day! For any questions email us at info@swiha.edu View Life Coaching Sessions live stream on the same day of the event. 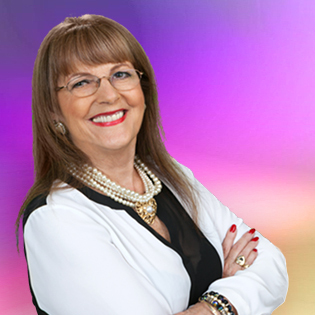 Join Sharon Rose, for a LIVE LIFE COACHING SESSION Every Tuesday for the month of January @ noon (MST). Tuesday, January 2, January 9, January 16, January 23, January 30, 2018 LIFE COACHING MONTH – experience LIVE LIFE COACHING Sessions @ 12pm noon (MST). 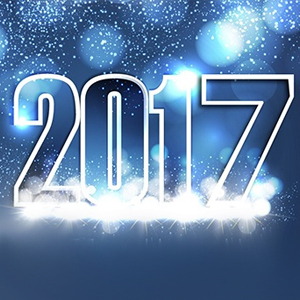 Every day of January – LIFE COACHING MONTH – you can experience LIVE LIFE COACHING Sessions @ 12pm noon (MST). 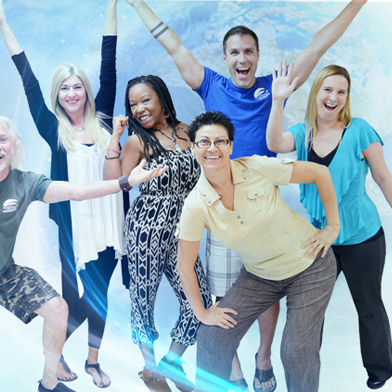 Seven talented coaches, every day for 31 days, 31 minutes a day! 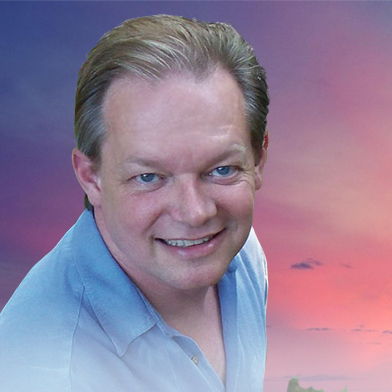 Join Richard Seaman, for a LIVE LIFE COACHING SESSION Every Wednesday for the month of January @ noon (MST). Wednesday, January 3, January 10, January 17, January 24, January 31, 2018 LIFE COACHING MONTH – experience LIVE LIFE COACHING Sessions @ 12pm noon (MST). Every day of January – LIFE COACHING MONTH – you can experience LIVE LIFE COACHING Sessions @ 12pm noon (MST). Seven talented coaches, every day for 31 days, 31 minutes a day! 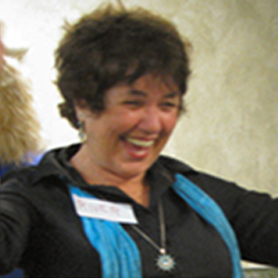 Join Linda Bennett, for a LIVE LIFE COACHING SESSION Every Thursday for the month of January @ noon (MST). Thursday, January 5, January 12, January 19, January 26, 2018 LIFE COACHING MONTH – experience LIVE LIFE COACHING Sessions @ 12pm noon (MST). Every day of January – LIFE COACHING MONTH – you can experience LIVE LIFE COACHING Sessions @ 12pm noon (MST). Seven talented coaches, every day for 31 days, 31 minutes a day! Join Will Zecco, for a LIVE LIFE COACHING SESSION Every Thursday for the month of January @ noon (MST). Thursday, January 4, January 11, January 18, January 25, 2018 LIFE COACHING MONTH – experience LIVE LIFE COACHING Sessions @ 12pm noon (MST). Every day of January – LIFE COACHING MONTH – you can experience LIVE LIFE COACHING Sessions @ 12pm noon (MST). Seven talented coaches, every day for 31 days, 31 minutes a day! Join KC Miller, for a LIVE LIFE COACHING SESSION Every Saturday for the month of January @ noon (MST). Sunday, January 7, January 14, January 21, January 28, 2018 LIFE COACHING MONTH – experience LIVE LIFE COACHING Sessions @ 12pm noon (MST). Every day of January – LIFE COACHING MONTH – you can experience LIVE LIFE COACHING Sessions @ 12pm noon (MST). Seven talented coaches, every day for 31 days, 31 minutes a day! 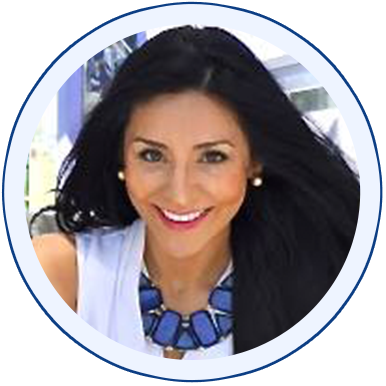 Join Dulce Z., for a LIVE LIFE COACHING SESSION Every Monday for the month of January @ noon (MST). Monday, January 8, January 15, January 22, January 29, 2018 LIFE COACHING MONTH – experience LIVE LIFE COACHING Sessions @ 12pm noon (MST). Every day of January – LIFE COACHING MONTH – you can experience LIVE LIFE COACHING Sessions @ 12pm noon (MST). Seven talented coaches, every day for 31 days, 31 minutes a day! 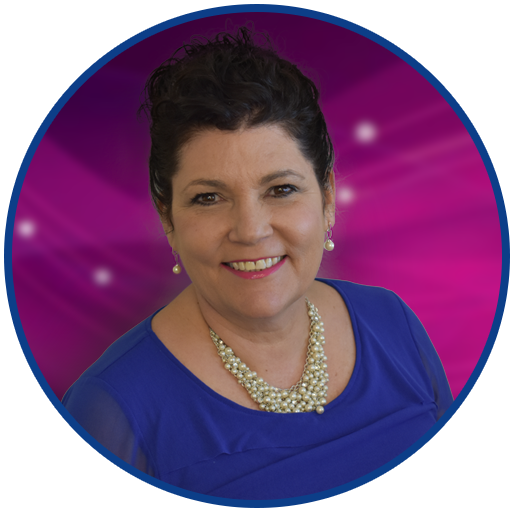 Join Linda Bennett, for a LIVE LIFE COACHING SESSION Every Thursday for the month of January @ noon (MST). Thursday, January 4, January 11, January 18, January 25, 2018 LIFE COACHING MONTH – experience LIVE LIFE COACHING Sessions @ 12pm noon (MST). Every day of January – LIFE COACHING MONTH – you can experience LIVE LIFE COACHING Sessions @ 12pm noon (MST). Seven talented coaches, every day for 31 days, 31 minutes a day! Join Will Zecco, for a LIVE LIFE COACHING SESSION Every Thursday for the month of January @ noon (MST). Thursday, January 5, January 12, January 19, January 26, 2018 LIFE COACHING MONTH – experience LIVE LIFE COACHING Sessions @ 12pm noon (MST). Every day of January – LIFE COACHING MONTH – you can experience LIVE LIFE COACHING Sessions @ 12pm noon (MST). Seven talented coaches, every day for 31 days, 31 minutes a day! 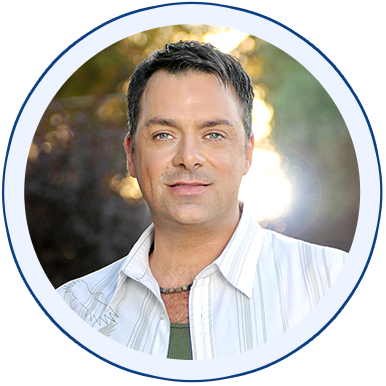 Join Michael Sclafani, for a LIVE LIFE COACHING SESSION Every Saturday for the month of January @ noon (MST). Saturday, January 6, January 13, January 20, January 27, 2018 LIFE COACHING MONTH – experience LIVE LIFE COACHING Sessions @ 12pm noon (MST). Every day of January – LIFE COACHING MONTH – you can experience LIVE LIFE COACHING Sessions @ 12pm noon (MST). Seven talented coaches, every day for 31 days, 31 minutes a day! Mary Ritter is passionate about wholehearted living and discovering the authentic truths in our lives. 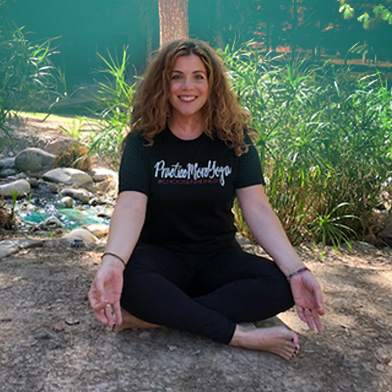 Her latest mission is to bring Holy Reiki to the SWIHA community…and beyond! Explore the relationship between guided intuition and the Holy Spirit, and discover your spiritual gifts while developing your Reiki practice through the timeless truths of the Bible. Find out about this exciting new offering in a Facebook Live video with Mary Ritter on Thursday, May 3rd from 12pm – 12:30pm PST. You can also read about Mary's mission in this recent blog. Register at swiha.edu or call (480) 994-9244 to sign up for this exciting new offering! Join us Friday, June 1st, 2018 at 6PM for Gifts and Graces! 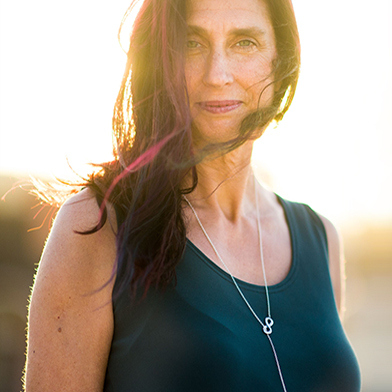 “Soul Stylist” Sharon Rose will be speaking about living life as art and how re-discovering childlike wonderment opened up her world to endless possibilities. Can you remember who you were before the world told you who you should be? What if you didn’t have to “color inside the lines” and truly held the power to show up as your best, authentic self? Your words, actions and mindset are your mediums on the canvas of life. By placing importance on creativity and returning to “childlike wonderment”, you open yourself up to an exciting world of vibrancy and creation. As an adult, you can tap into your inner-child and sit in curiosity of what is happening, allowing space to design the life you’ve dreamed of, without fear of judgment. If you’re seeking to brighten your perspective and re-discover your authenticity, this event is for you! Can’t attend in person? This event will also be streamed on Facebook Live! As we celebrate the freedom of our nation, we extended an opportunity for three of our Graduates to freely share their heart-felt truth. Come be inspired into your own kind of freedom and boldness! This will be a rewarding event where every attendee will receive “Freedom Funds” — Value packed coupons redeemable the entire month of July! (Only available to those who attend the July Gifts & Graces event.) Be free, bold and you! See What Graduates are DOING with SWIHA's Holistic Nutrition Education What can you DO with SWIHA's Holistic Nutrition Education? Attend from anywhere! We invite you to get interactive and ask questions when you attend. Zoom is easy and simple to download as a complimentary app on phones, tablets or computers. 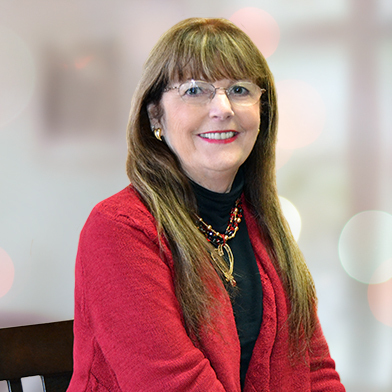 Join us for Gifts and Graces on Friday, November 2 at 6 PM @ SWIHA for Care for Caregivers – A Celebration of Compassion with our featured speaker Linda Bennett Hypnotherapy/Guided Imagery Program Director. ‘Tis the season to be healthy! Join us on November 1st @ 1PM for a Holistic Nutrition Holiday Lunch and Learn. 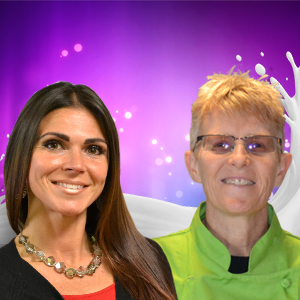 This webinar will be hosted by our three of our campus Holistic Nutrition Instructors. Janet Lee, living food chef, on line advisor and on campus instructor. Dee McCaffrey, author, whole food chef, on line and on campus instructor. 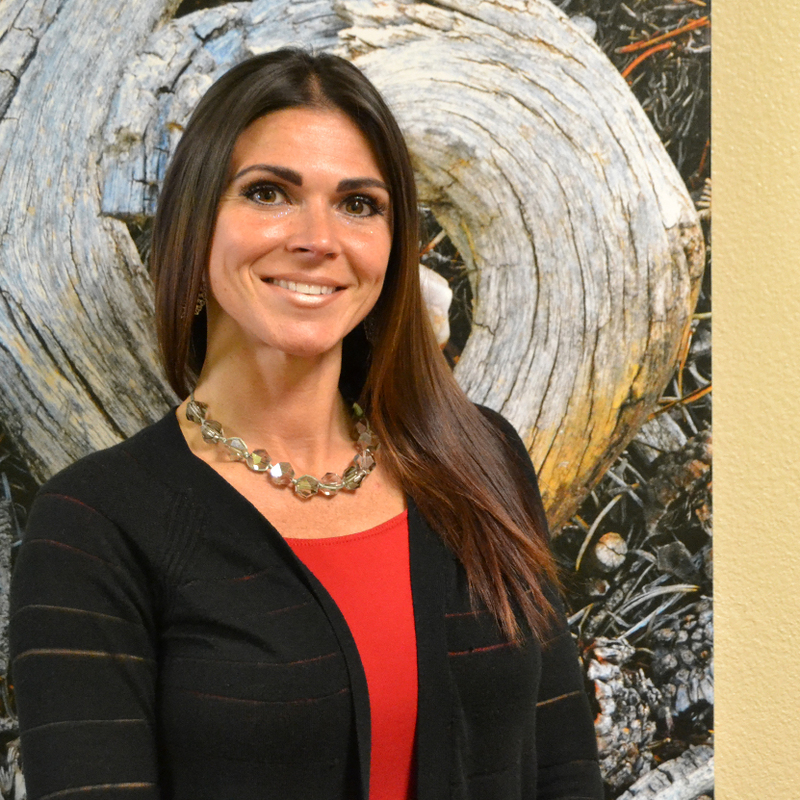 Elise Rathke, Registered Dietician, on campus instructor. 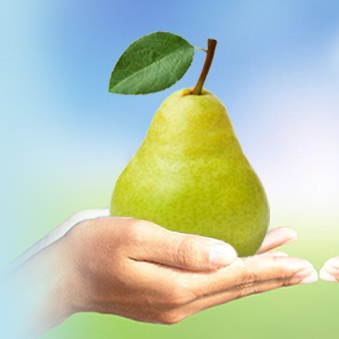 Share what to expect in our Holistic Nutrition Wellness Practitioner program on line. How to enjoy the holidays with healthy choices that address us physically and emotionally. Q&A for the panel of instructors. Join Our Open House at Spirit of Yoga on Thursday, November 29 2018 at 6:30 PM to tour our studio, participate in a short yoga practice, engage with current YTT students, and meet Kate Shipp, Associate Dean of Yoga Education at Spirit of Yoga. Our dedicated, exceptional, and accomplished educators are actively practicing, and creating sustainable income in their field of study. Our successful graduates register as yoga teachers through the internationally recognized Yoga Alliance Organization, and carry the official designation of Registered Yoga Teacher (RYT) at the 200-hour or 500-hour level. Be sure to wear yoga attire – we have bathrooms if you need to change out of work clothes. Join us on January 4th, 2019 at 6PM to kick start the new year with some powerful ‘Success Tools’ and sustainable practices that have been proven in the achievement of success, prosperity, happiness and abundance! Affirmations, Coaching, Ceremony, Visualization and more! 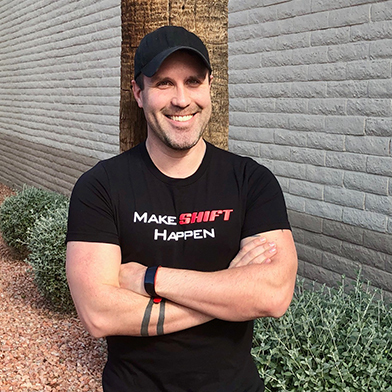 Join one of SWIHA’s own ‘Success Coaches’ James Patrick, who will offer practical, motivational how-to steps to “Make SHIFT Happen” for you in 2019! At 7:30pm, complimentary Life Coaching, Toe Reading and Energy Therapy sessions will be offered. January is Life Coaching Month! Join Us LIVE LIFE COACHING SESSION starting on 1/1/2019 @ noon (MST). Every day of January – LIFE COACHING MONTH – you can experience LIVE LIFE COACHING Sessions @ 12pm noon (MST). With many of our talented coaches, every day for 31 days, 31 minutes a day! 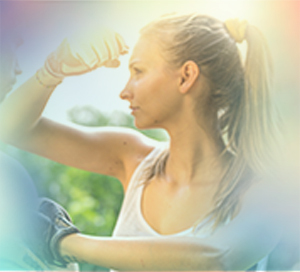 View Life Coaching Sessions live stream on the same day of the event. 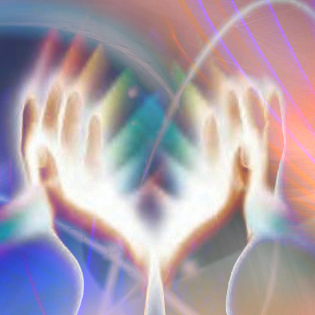 Complimentary Reiki share Every 3rd Sunday of the month from 3pm - 5pm. 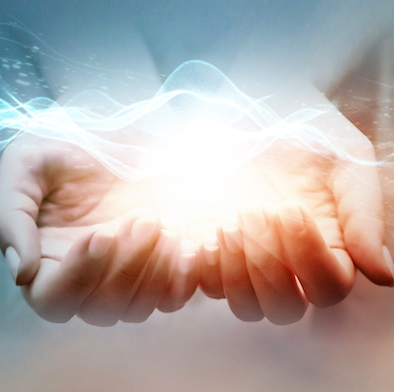 Reiki Share is a complimentary community offering to anyone who has completed Reiki I or beyond ANYWHERE in the world – it’s Healers offering Healing Sessions as a part of giving back. Massage tables will be provided. Please bring your own linens to cover the massage table. 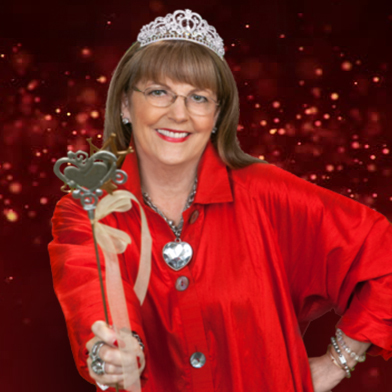 Linda Bennett, the Queen of Hearts, and director of SWIHA Hypnotherapy program says, “Be brave enough to fully love yourself so that you might more fully love others!” There are seven simple, yet specific, steps to learning to love yourself. Come discover what those transformational steps are! Experience a visualization designed to awaken the Queen or King within! Following the inspirational presentation there will be two mini workshops: The Power of Hypnotherapy & Yoga Nidra – What is Yogic Sleep. 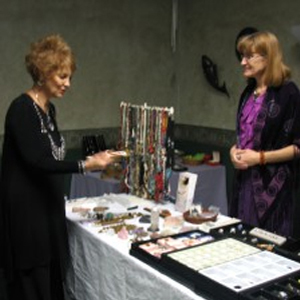 In addition Life Coaches, Toe Readers and Reiki Practitioners will be available to serve you. 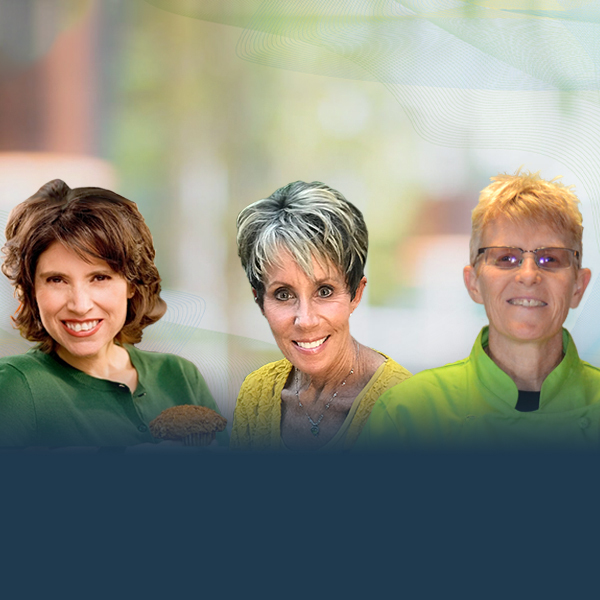 In this webinar, Dee McCaffrey and Janet Lee will discuss Dietary Systems and Intermittent Fasting. They’ll answer questions such as: Why would someone choose Paleo over other diet plans? What is the science behind some of the most common food plans? Why Intermittent Fasting? Why should someone be more raw? What are the various dietary plans SWIHA covers in their program? Join our webinar Wednesday February 6, from 6pm - 6:30pm MST for a live Q&A and SWIHA programs exploration. Curious about Hypnotherapy? Have you ever wonder about hypnosis? Does a hypnotherapist really make you bark like dogs or quack like chickens? 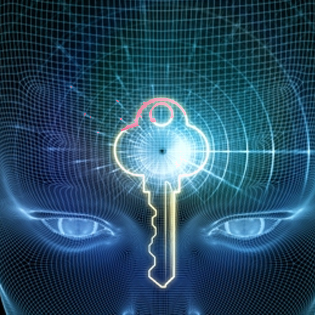 What are the benefits of hypnosis? Can everybody be hypnotized? During this webinar we will explore the many benefits to hypnosis including pain management and much more. 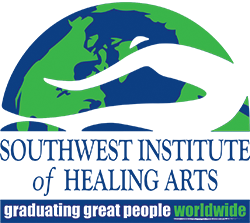 We will also explore the education program at SWIHA and the ways you can create a rewarding career serving others. Did you make a healthy resolution for 2019? Did it involve healthy eating? Are you wondering things such as: Is sugar the villain? How can I increase my energy level every day? Can I eat on a budget? How do I make this the healthiest year yet? 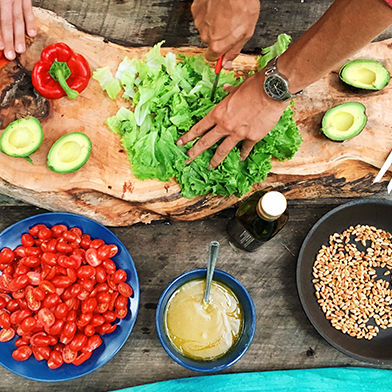 Our instructors from the Holistic Nutrition Program will share their knowledge, experience and passion while demonstrating how to nourish mind, body and spirit in order to achieve abundant health! 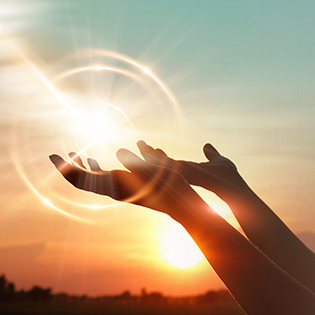 In addition Life Coaches, Toe Readers and Reiki Practitioners will be available to serve you. Can’t attend in person? This event will also be streamed on Facebook Live! Join us for a live Q&A and massage exploration. 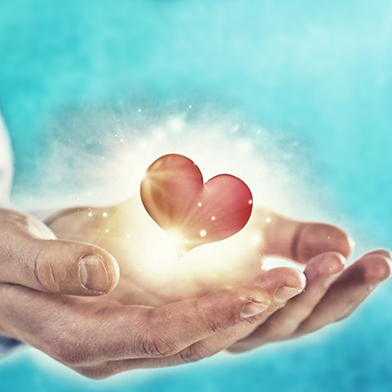 SWIHA’s motto is “Learn to Touch Lives, Heal Bodies and Free Souls!” It’s also the personal mission statement of KC Miller, Founder of SWIHA, and longtime massage therapy instructors and practitioners, Pam Field and Suzie McLaughlin. Join three passionate women for a Facebook Live discussion on March 15th from 5-5:30PM. They will be sharing significant touch points in their careers that confirmed they were living their life purpose and how to discover your unique path if you’re called to do the same. Complimentary Event Please RSVP to attend in person rsvp@swiha.edu | 480-994-9244 Can’t attend in person? This event will also be streamed on Facebook Live! How do you explain the “Wow!” of Polarity when some people want discount it as “Woo”? Those who have experienced it or practice it understand the deep science and spirituality involved in true mind-body-spirit healing. Come discover the methods behind the mystical and join us on campus or via Facebook live on Monday, March 11 from 4:30pm - 5pm as three passionate teachers put words to their career path and the joy of living on purpose! KC Miller, owner of Southwest Institute of Healing Arts, Gary Strauss, Director of the Polarity Program and Jennifer Sanders, Polarity Instructor at SWIHA will share their passion for Massage Therapy and Polarity, how the two modalities work together to create healing, and how YOU can follow your calling to create a profitable, holistic business! Complimentary Please RSVP to attend in person rsvp@swiha.edu | 480-994-9244 Can’t attend in person? This event will also be streamed on Facebook Live! You’re invited to tune in to Facebook Live or join us on campus on Friday, April 26 from 5pm – 5:30pm! 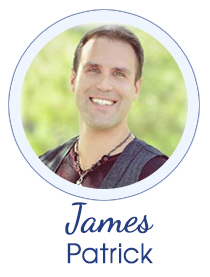 James Arena and Jennifer Sanders, Polarity instructors at SWIHA, will be sharing their insight on this powerful and unique modality. If you are curious about Polarity and the healing arts, please join us! You will learn about the energetics of Polarity, this modality’s roots and history, and how it can help create complete mind-body-spirit wellness! Fascinated by Polarity? Join us for a class! Contact Student Services to receive a four-hour Guest Pass for Polarity Basics on Fri., June 21st from 6pm-10pm. Gifts & Graces: Learn to become stronger by choice, not by chance! It's officially National Nutrition Month! 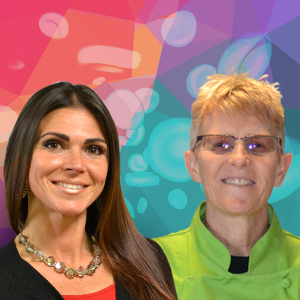 Join Janet Lee, Living Foods Chef, supported by Becca Briley, Holistic Nutrition Specialist, virtually from your phone or computer, on TUESDAY 3/12/19, from 4pm - 5pm PST for live Q&A during Holistic Nutrition Month. 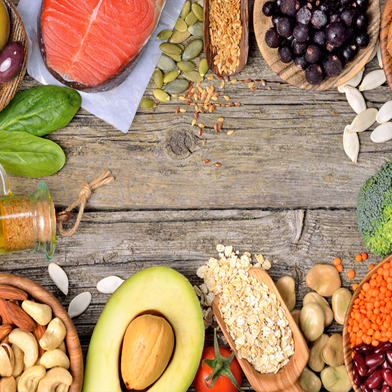 Here we will be exploring: • Gut Health • Prebiotics • Probiotics • Brain / Gut connection and a food options that will help to support optimal gut health. • Demo fermented or cultured foods: kraut, kim chee and other veggies We will answer your questions that are confusing and keeping you from feeling your very best. We will also explore the education program at SWIHA and explore how the information shared can help you create a healthier lifestyle. RSVP to our webinar This will be hosted on Facebook Live Attend from anywhere! We invite you to get interactive and ask questions when you attend. Zoom is easy and simple to download as a complimentary app on phones, tablets or computers. Fill out the info below to RSVP. If you cannot attend live, we will email you the recording the following day! It's officially National Nutrition Month! 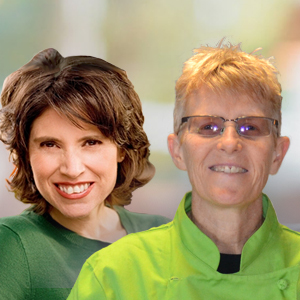 Join Janet Lee, Living Foods Chef, supported by Becca Briley, Holistic Nutrition Specialist, virtually from your phone or computer, on TUESDAY 3/19/19, from 4pm - 5pm PST for live Q&A during Holistic Nutrition Month. Here we will be exploring: • Dairy Facts • Dairy Alternatives • Food Demo: Healthy Nacho Cheese Sauce & Parmesan • YUMMY • Homework: Get your Blood Type checked this week (for the next webinar where we will be exploring Blood Type Supportive Diets) We will answer your questions that are confusing and keeping you from feeling your very best. We will also explore the education program at SWIHA and explore how the information shared can help you create a healthier lifestyle. Click to RSVP to the webinar This will be hosted on Facebook Live too Attend from anywhere! We invite you to get interactive and ask questions when you attend. Zoom is easy and simple to download as a complimentary app on phones, tablets or computers. Fill out the info below to RSVP. If you cannot attend live, we will email you the recording the following day! It's officially National Nutrition Month! 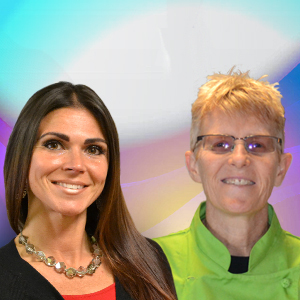 Join Janet Lee, Living Foods Chef, supported by Becca Briley, Holistic Nutrition Specialist, virtually from your phone or computer, on TUESDAY 3/26/19, from 4pm - 5pm PST for live Q&A during Holistic Nutrition Month. Here we will be exploring: • Eating for Your Blood Type • More dairy alternatives (what's your fav?) • Demo: "Milks" • Demo: Yogurt We will answer your questions that are confusing and keeping you from feeling your very best. We will also explore the education program at SWIHA and explore how the information shared can help you create a healthier lifestyle. Click to RSVP to the webinar This will be hosted on Facebook Live too Attend from anywhere! We invite you to get interactive and ask questions when you attend. Zoom is easy and simple to download as a complimentary app on phones, tablets or computers. Fill out the info below to RSVP. If you cannot attend live, we will email you the recording the following day! 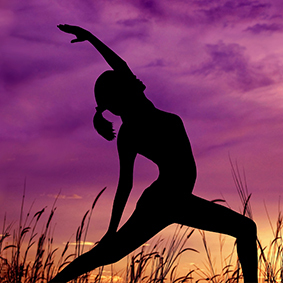 Is your passion and purpose to become a Yoga Teacher? 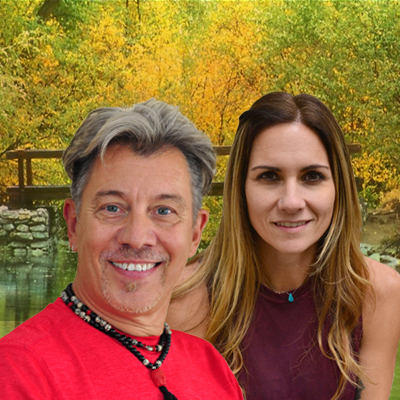 Attend this Open House to learn about the mind-body-spirit connective practice of yoga @ SWIHA's educational facility and yoga studio, led by Tara Martell and Will Zecco! Here you will sit in on a real, live yoga teacher training class to partake in a seated, gentle asana, followed by students sharing their experiences, and your Q&A! No need to bring a yoga mat - we have plenty. If you have any questions, feel free email Becca Briley at beccab@swiha.edu or give us a call directly: (480) 994-9244. We look forward to meeting you soon! Good Friday is a great day to forgive! Who remembers the childhood game called “Mother May I?” Mother may I stand up? Mother may I move forward? Mother may I show up for myself? Of course, those actions were not exactly what we were asking permission for – however, we sometimes may become stuck seeking permission to live passionately, purposefully and very boldly. You are invited to a Cord Cutting Ceremony facilitated by Sharon Rose, The Soul Stylist, whose passion and purpose is helping others design the life of their dreams! Come cut the cords of all those voices, events, or mistakes that keep you stuck, little and living in the shadows. Give yourself permission to be BOLD – Beautifully Open, Living Daring! Learn about SWIHA's Western Herbalism program, directed by Master Herbalist, JoAnn Sanchez! Be our guest on Tuesday, May 14 from 6:00 PM – 7:00 PM PST at our campus – 1538 E. Southern Blvd, Tempe, AZ 85282 -- OR via Facebook Live video on the SWIHA Facebook Page. On May 14 you will learn about shopping for natural food stores for herbal products. 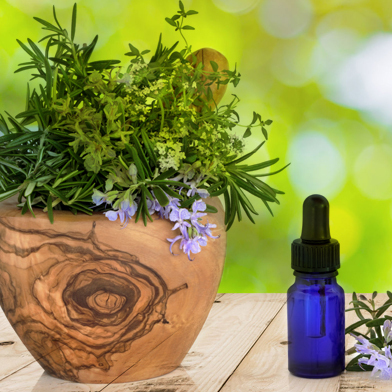 You can also be our guest in a Western Herbalism class on any of the following dates: May 21, May 23 or May 28 from 6-8PM. To get your Guest Pass RSVP at info@swiha.edu with Becca Briley.